The locations of the GoAmazon sites and the variational analysis domain (red octagon) are shown. 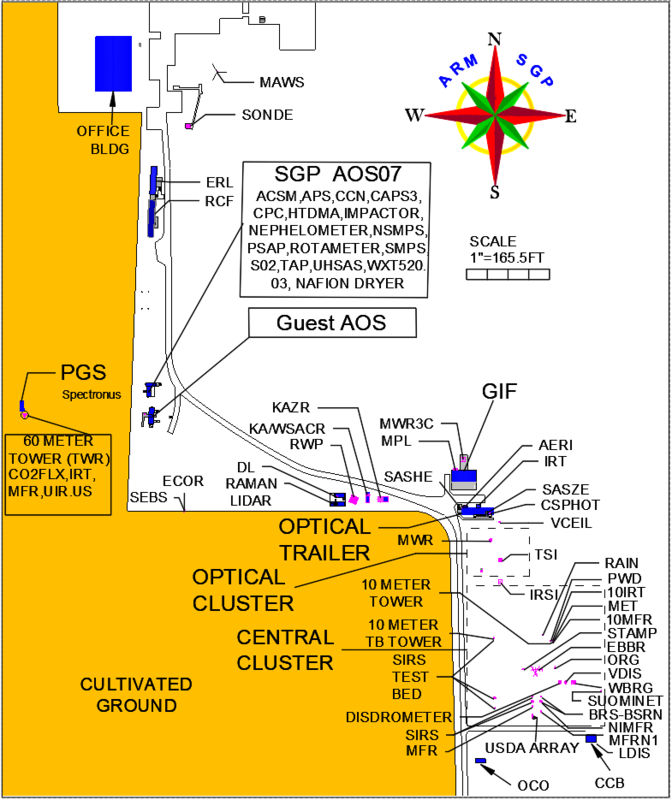 The locations of the ARM Mobile Facility and SIPAM radar (at Ponta Pelada airport) are also shown. Large-scale forcing data developed from a constrained variational analysis approach are now available for the Green Ocean Amazon (GoAmazon2014/15) field campaign at Manaus, Brazil, for the years 2014 and 2015. This value-added product (VAP) includes both the large-scale forcing terms and the evaluation fields for driving and evaluating single-column models, cloud-resolving models, and large-eddy simulations. The forcing data represent an average over the analysis domain centered at Ponta Pelada airport in Manaus with a 110-kilometer radius. The data were developed based on European Centre for Medium-Range Weather Forecasts model analyses, which were constrained with surface rainfall measured by the SIPAM S-band radar at Ponta Pelada airport. Missing periods of more than 12 hours are filled with Tropical Rainfall Measuring Mission (TRMM) 3B42 precipitation data products (V7) rescaled to the same rain rates with SIPAM radar averaging in a window of minus to plus 15 days. These TRMM-filled periods are documented in the global attributes in the netCDF file. Missing periods of less than 12 hours are filled by linear interpolation. Released as an evaluation VAP, the analyzed forcing data have three-hour time resolution and 25 hPa vertical resolution. The data sets are in netCDF format. Quick plots of the variables are available at http://portal.nersc.gov/project/capt/ARMForcingData/goAmazon. Scientists can use these forcing data for model simulation and evaluation. Please be careful when comparing this data set with the ARM single-point measurements at Manacapuru (ARM MAO site). The timing may be lagging because the ARM MAO site is located about 70 kilometers west of Ponta Pelada (center of variational analysis domain). Feedback will help further improve the data. For questions or suggestions, please contact Shuaiqi Tang or Shaocheng Xie.